We have tacos and burritos a lot at my house. Most of the time, we use traditional toppings and sides. This black bean salsa is a nice change from the regular bottled salsa and is much more hearty. I also love to make my own salsa. There are dozens of ways to put together this popular party appetizer without resorting to the normal spicy tomato pasta. For this dish, I chose red onion, garlic, fresh limes, tomatoes, sweet peppers, jalapeño peppers, black beans and corn. Fresh cilantro adds a bit of spice to this delicious dish. For more great healthy recipes, please visit my Gardening Cook page on Facebook. 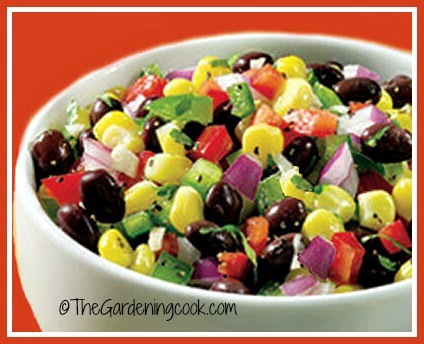 This black bean salsa is a nice change from the regular bottled salsa and is much more hearty. Combine the onions, garlic lime zest, juice and salt in a large bowl. Stir so that everything is mixed well. Let it rest while the rest of the ingredients are chopped. Add the rest of the ingredients and mix well. Serve immediately. Can also be refrigerated. Great as a side dish for tacos and burritos.